3 Bulgarian films nominated for the European Oscars! the 30th European Film Awards that will be presented to the winners at an official ceremony in Berlin, December 9th. For the first time in the history of these awards, three Bulgarian films will claim for a European Film Prize. For the first time a Bulgarian film is among the best European comedy nominations. 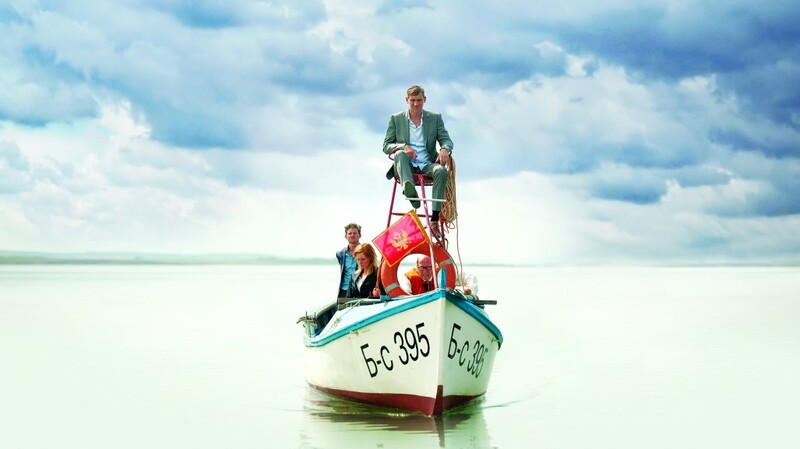 The co-production between Belgium, the Netherlands and Bulgaria, and almost entirely shot in our country - the King of the Belgians, will compete for a comedy prize with high chances of success. The tandem - Peter Brosens and Jessica Woodward started their glamorous royal world tour in Venice and are already considering making a sequel that will reflect on the dynamic processes in Europe and in the world. Ralitsa Petrova’s Bezbog was nominated for a European discovery of the year. The film was first shown at Locarno, where it won the Grand prize, after which triumphed at a number of world and national festivals. It won the Golden Rose award for best film in Varna and the Grand Prix at Sofia Film Fest 2017. The Postman by Tonislav Hristov, was received with success at the IDFA festival in Amsterdam and was nominated for a European documentary film prize. The Bulgarian documentary film once again appeared on the highest European scene, after the nominations for Whose is this song? and Divorce Albanianstyle by Adela Peeva. Among the nominations for the best European film are; Loveless by Andrey Zyagintsev, 120 BPM (120 battements par minute) by Robin Campillo, which we will be able to see during LUX Film days in December, as one of the three films nominated for the LUX Prize of the European Parliament. Also, the work of Aki Kaurismaki The Other Side of Hope which was presented to the Bulgarian audience at the 21st Sofia Film Festival program, and which can be seen in the art movie theaters in Sofia and across the country. On Body And Soul by the Hungarian director Illdiko Enedi, winner of the Golden Bear in Berlin, as well as Ruben Ostlund's Square winner of the Golden Palma in Cannes 2017. Nominations for the best European documentary work include the Bulgarian-Finnish co-production The Good Postman by Tonislav Hristov, Austerlitz by Sergei Loznitsa, Communion by the Polish director Anna Zametka, La Chana written and directed by Lucia Stojevich, as well as Stranger In Paradise by Guido Hendrix from the Netherlands. The Nominations for directing include the names of Aki Kaurismaki, Ildico Enedy, Ruben Ostlund, Andrey Zviginsev - all nominated in the main category for best film, and Yorgos Lantymos for his latest work The Killing of a Sacred Deer. The actors and actresses who were honored for their work during the past year are; Claes Bang (The Square), Colin Farrell (Killing of a Sacred Deer), Josef Hader (Stefan Zweig – Farewell To Europe), Naudel Perez Biscayer (120 Bpm), Jean-Louis Trentiniyan (Happy End), Paula Beer (Frantz), Juliette Binoche (Bright Sunshine In), Alexandra Borbély (On Body And Soul), Isabelle Huppert (Happy End) and Florence Pugh (Lady Macbeth). Among the nominee writers are Illyco Eniedi for On Body And Soul, Yorgos Lantimos and Eftimis Filipopou for The Killing of a Sacred Deer, Oleg Negin and Andrei Zyagintsev for Loveless, Ruben Ostalund for The Square and Francois Ozone for Franz. We wish SUCCESS to the nominated artists and their films with all our hearts!